This place was awesome. The location is amazing right next to the Spanish steps and close to the subway. Even with being in the middle of it all it is very quiet and relaxing. The staff was awesome, polite and always willing to help. The room was spacious and clean. If I where get back to Rome this would be where I would stay. This was absolutely lovely in every possible way. The apartment was outstanding and staff were wonderful! This was the third time I have stayed at this property and I absolutely love it !! Amazing room and facilities. I had never seen something quite like this room, and I have been to many hotels and apartments, of all ranges. Definitely recommended, I will come back here. Location was fabulous. Apt was immaculately clean. All new appliances in the kitchen. Nice bed linens and sparking clean bathroom. Loved the private stairway to a cute terrace cubbyhole with a table and chairs. Loved the different levels and the archways in the room. A definite plus was having Netflix on the TV already programmed in English. This apartment was cozy and had more than enough outlets to hook up every piece of technology that we brought along. WiFi was great too. Air conditioning was perfect! We especially liked the gracious hospitality of Alfonzo, he was very kind and helpful. He is a true “gem” to your property and you should recognize him for his outstanding service. A great apartment, in a central location, less than a minute walk to the Spanish stairs. The apartment was big enough for us, the bed was good and it was really clean. The staff is very nice, helpful and friendly. Room was a darling loft apartment. My daughter and I thought it was dreamy. The bedroom ceiling was a little low and the bed a little small but we didn’t care, it was so charming! 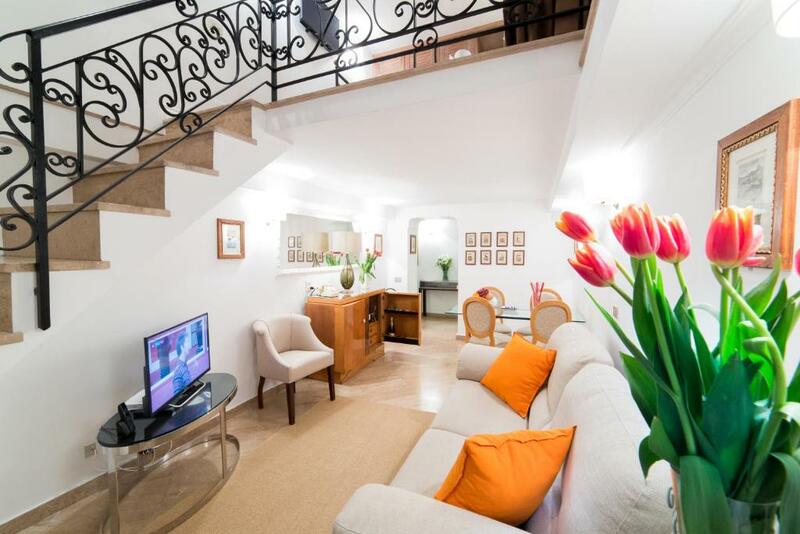 The location in unbeatable near the Spanish steps and incredible shopping! Friendly staff, some reviews called out their English not good, I found all three staff’s English are good enough for communication we need, restaurant, calling for taxi, expaining how to use facilities. We have no problem at all. The location is fantastic, literally next to Spanish Steps and yet quiet. Other than to airport and Vatican and raining we walked everywhere - Colosseum, Pantheon, Borghese, etc. right next corner is a great tiramisu place and some market. We had best zucchini flower in the restaurant right at the corner. All three of us, me, my husband and daughter are happy w the stay, it is clean, cool (cool w AC, and cool w their stairs to the second floor bedroom w a den, and cool to open the shudder window to see Amani right down across the street). 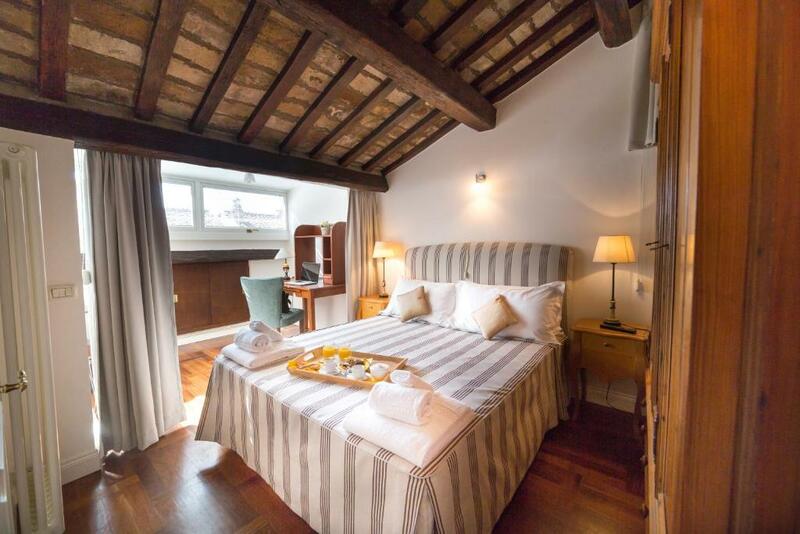 Lock in a great price for Babuino 79 – rated 9.4 by recent guests! 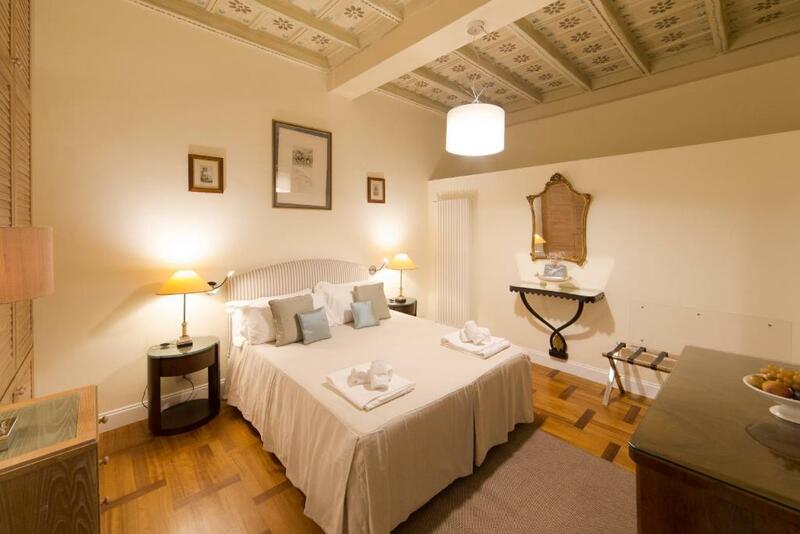 One of our top picks in Rome.Babuino 79 is located in a 16th-century building in Rome's Spagna quarter. 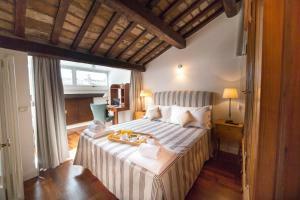 It offers self-catering accommodations, some with views of nearby Via Margutta. Apartments and studios at Babuino 79 come with free WiFi, a kitchen, a LED TV with satellite channels, and a bathroom with free toiletries. A shared self-service laundry area is available to all guests for free, and includes 2 washing machines, a tumble dryer, and washing detergent tabs. 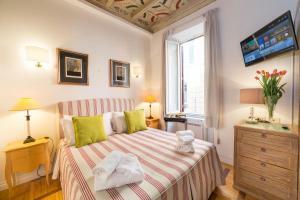 Piazza di Spagna is 650 feet from Babuino 79, while Via Condotti is 1,000 feet from the property. 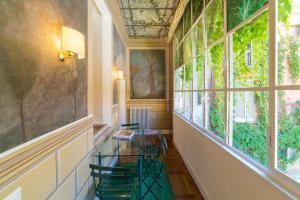 The nearest airport is Ciampino Airport, 9.3 mi from the property. When would you like to stay at Babuino 79? This apartment has free WiFi, a kitchen, a LED TV with satellite channels, and a bathroom with free toiletries. This studio has a raised sleeping area, free WiFi, a kitchen, a LED TV with satellite channels, and a bathroom with free toiletries. This studio has views of Via Margutta, free WiFi, a kitchen, a LED TV with satellite channels, and a bathroom with free toiletries. This apartment has views of Via Margutta, free WiFi, a kitchen, a LED TV with satellite channels, and a bathroom with free toiletries. 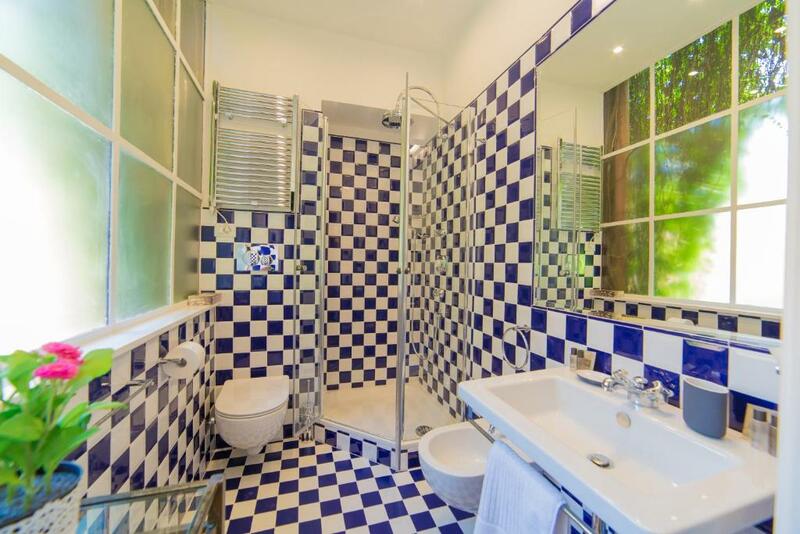 This studio features a kitchen, private entrance and washing machine. Our building is a historic building with 40 residential units . For about two centuries it has been home to major artists , painters , writers and eminent figures such as Richard Wagner and Giuseppe Valadier . All units are furnished with quality materials and a luxurious decor with a bedroom , kitchen or kitchenette , bathroom and living room. House Rules Babuino 79 takes special requests – add in the next step! ATM card Babuino 79 accepts these cards and reserves the right to temporarily hold an amount prior to arrival. Babuino 79 accepts these cards and reserves the right to temporarily hold an amount prior to arrival. Guests are required to leave the kitchen area clean upon departure, or can request an extra cleaning service at a surcharge of EUR 50 per unit. Please note that only the first use of the washing machine is free. Any additional use comes at an extra charge of EUR 5. Daily cleaning is available upon request and comes at an additional cost of EUR 30 per day. Please inform Babuino 79 of your expected arrival time in advance. You can use the Special Requests box when booking, or contact the property directly using the contact details in your confirmation. My partner and I spent 15 nights at Babuino 79. The location was near everything and the Metro was just a 2 min walk. The apartment had full kitchen that was very functional. We would definitely return to this residence. The staff were very attentive and always willing to help. If you have any mobility concerns make sure to ask. My apartment was in-between floors so there were extra steps to climb. There was also a steep step into the shower. The apartment was spacious, the kitchen easy to use and the staff were very kind and attentive. The room so bigger than others in the same place,and is very very cleanner. we are so pleasure living the hotel.Many thanks! Great location for everything, very clean . The shower water flow was weak. Great location. Beautiful apartment. Very well equipped (especially the kitchen). The reception staff is great, welcoming and helpful. The price. No proper view from this room. The location is wonderful for the shopping. The appartments are quite spacious. The appliances in the kitchen could be placed in better suited areas ( specially the coffee machine and the kettle). Hot water in the shower was unpredictable. The apartment was lovely and spacious for three people. 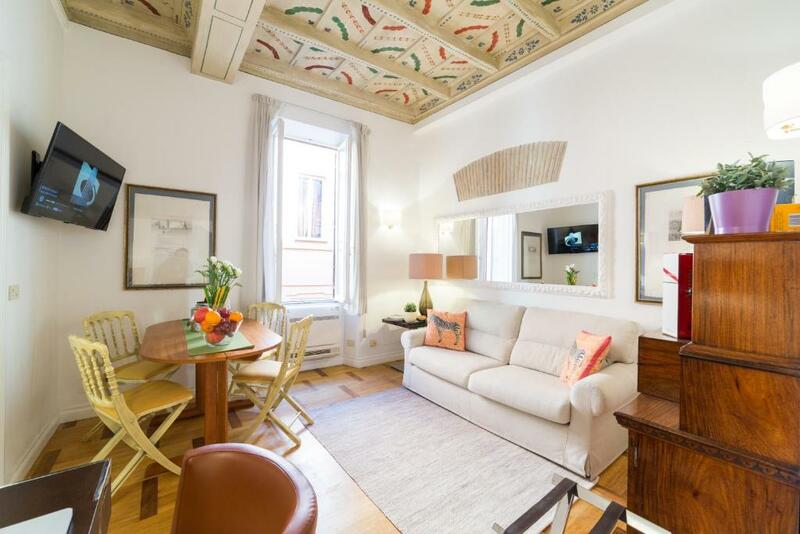 Very clean, the location was very good as we were right in the center- 1 min to Spanish steps and the shops, 15-20 min to most attractions. The staff were all very friendly and helpful. Wifi was excellent. Definitely happy to return.